On Monday I went to the PNU area to buy some supplies for summer camp. It was a pretty successful night. I had dinner at my favorite hamburger shop and I came home with most of what I needed for camp. 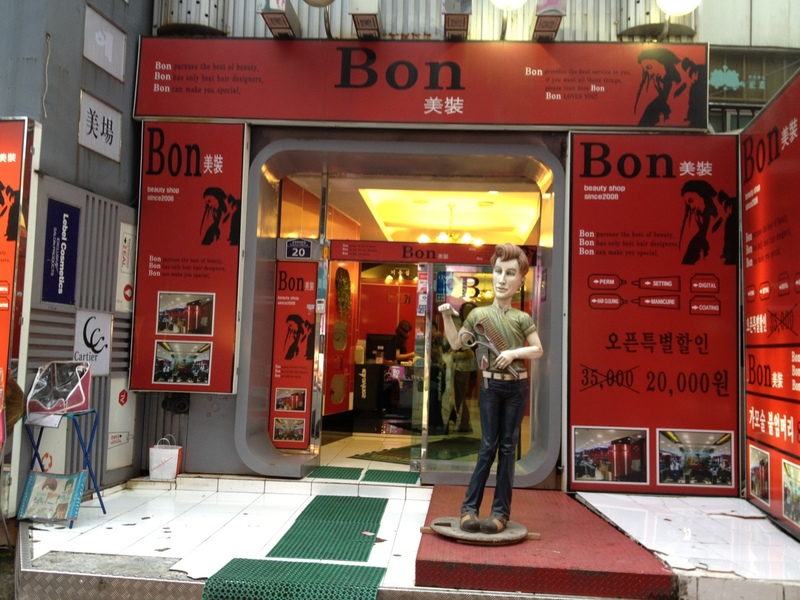 As I was walking back to the subway, I saw this hair shop. I always find the statue they have out front very… fascinating.